Welcome back to our BabyMoon recap! After our quick jaunt in Athens, we hopped a 45 minute flight on Aegean Air (my new fave airline of all time) and found ourselves in Heaven on Earth. We arranged for an airport transfer from the Santorini airport to our hotel, the Pezoules. On many of our travels, we just hop a cab or rent a car to get from the airport to our destination but in this case, I highly recommend an airport transfer. Because we arranged the transfer through our hotel, a staff member was awaiting our arrival at the transfer drop off point. This is crucial because you literally cannot park anywhere near any of the hotels as they are perched on a cliff. The hotel staff will carry your bags (yes, all 100 lbs of them!) through the streets and down the millions of steps for you. It would be impossible to do on your own (especially if one of you is 30 weeks pregnant). Many of you asked how we chose our hotel and if we used a travel agent...the answer is tons of research and nope! But Justin wanted me to let ya'll know that he'd be happy to do the research for your next trip for a small fee :-). We use Trip Advisor religiously but are careful to take everything with a grain of salt. I'm a big fan of the real traveler photos to ensure that I understand what we're getting. I honestly cannot recommend Pezoules enough. I rarely ever want to return to a destination (because it's a big world out there and I've got a ton to see) but I would happily spend the rest of my life on our patio at the Pezoules. 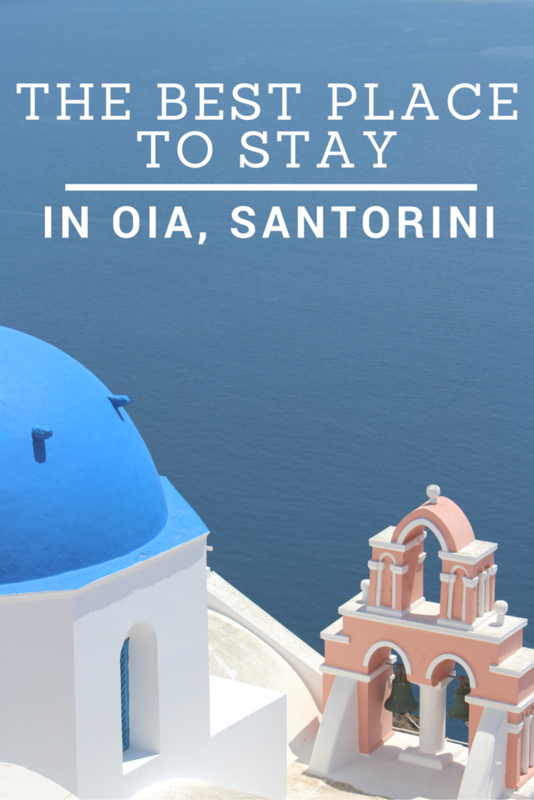 As is typical in Oia, the hotel is very small, comprised of only a handful of rooms. This allows for the staff to get to know you and your preferences personally and for their recommendations and service to be spot on. We wanted for nothing. All of the photos in this post were taken from our room, balcony or on the Pezoules property. We chose to stay in the Matzourana room, which is towards the top of the property. We had zero issues with privacy but if you want to have the most secluded spot, you'd want one of the two cave rooms at the bottom of the property (and they come with their own plunge pool!). Our room was Heavenly. So airy and light and huge! We were just so, so pleased. The plunge pool is tiny but perfect....the property is so small that we actually never had other guests with us when we were enjoying the pool...it was like our own little spot! One of the very best parts of staying at Pezoules is that breakfast is included, made to order and delivered to your balcony every morning. It was my job every morning to roll over in bed and order our breakfast. The staff was so accommodating and even noticed that we preferred some items over others (um, there were cookies for breakfast) and offered to bring us extras of our favorites instead of our least favorites. Justin jumped for joy on the days that extra cookies showed up! I am huge bread junkie, rolls are my most favorite thing, and the bread made in house at Pezoules has now been ranked as my #1 best bread that I've ever had the pleasure of eating. Smothered in fresh butter and jam, I started every day with two giant rolls and a big smile on my face. Justin asked me if I was going to spend the rest of my life searching for a roll similar to my Pezoules rolls and I told him that I was confident that I would never find a replacement so I was just going to have to accept it and remember the Pezoules bread fondly. I would give anything to be back at Pezoules right this second, laying in the sun while my husband reads me recruiting reports from Tiger Net. Don't worry, I'm not done reminiscing about our trip, my favorite post is on the way: Oia Eats! Wow this is beautiful. I am so jealous!! Wow this is amazing. This is what I think of when I think Greece. I so want to go!! Wow. This place just made my bucket travel list. Everything is just so beautiful!!! Your photos are stunning!! Definitely jotting those places down for my next Greece adventure! Gorgeous! It's hard to believe a place like this exists! Seriously this is the best babymoon you could have gone on! I am still so sad I planned poorly and didn't make time for one! Oh my gosh, this looks INCREDIBLE! I need to go here someday! These pictures are amazing I bet you had an incredible time. Wow!!! So beautiful!! Definitely a place on my bucket list!! Beautiful photo's!!! I am staying at Pezoules with my husband next week! Are you able to tell me what amenities are provided? i.e hair dryer and iron? Also, is there good space outside to sunbake by the pool? I am immediately looking up this hotel!!! Thanks for sharing, it is so dreamy!